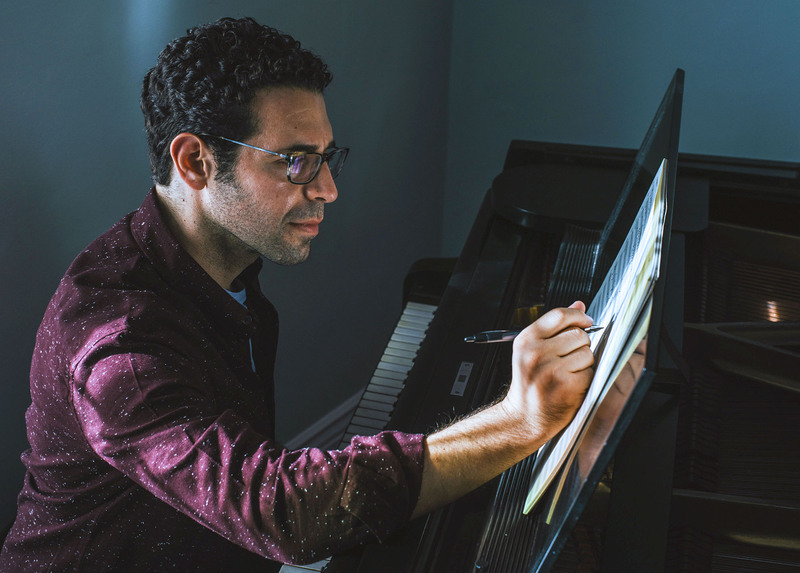 Driven by the endless possibility of sound, composer Ronen Landa creates music that is stirring, inventive, and bold. The press has hailed his work as “an astounding auditory journey” (Cinema Without Borders) and a “multi-layered feast for the ears” (Review Graveyard). Arriving in New York City as an aspiring rock guitarist at age 17, Landa was soon enthralled by the classical, experimental and world music traditions he encountered. Initially writing songs and chamber works, his music now accompanies dozens of film, television, art, and new media projects. Feature films Landa has scored include Nicholas McCarthy’s horror hits THE PACT (Sundance) and AT THE DEVIL’S DOOR (SXSW), Ben Hickernell’s romantic drama A RISING TIDE (Showtime) and Rob Legato’s psychological thriller ELOISE (Starz). Documentaries include Andrew Napier’s MAD AS HELL (Hot Docs Conscious Media Award Winner), Cambria Matlow and Morgan Robinson’s BURNING IN THE SUN (PBS, Cinema for Peace International Green Film Award Winner), Haydar Daffar’s landmark Iraq War film THE DREAMS OF SPARROWS (SXSW) and Nadav Kurtz’s PARAÌSO (NYTimes Op-Doc; Sundance; Tribeca Film Festival Best Short Documentary Award Winner). Landa is a Sundance Institute Composer Fellow and Vilcek Foundation New American Filmmaker. In 2018 he received the Jerry Goldsmith Award for Best Song alongside co-writer/performer Anna Bulbrook for “Whiteout,” from Cambria Matlow’s documentary WOODSRIDER. Currently, Landa resides in Los Angeles. In addition to his work, he serves as Associates Board Chair for Education Through Music – Los Angeles, a nonprofit organization that ensures children attending inner-city schools can receive a high quality music education.